For many years, the Smithsonian had used a spring upgrade call to recruit donors to its high-dollar James Smithson Society—but results had become anemic. Avalon’s multi-channel strategy and creative overhaul helped give new legs to this important annual campaign. For years the Smithsonian Contributing Membership (currently Friends of the Smithsonian) had relied on a personal phone call in the spring to recruit donors to its high-dollar James Smithson Society—the $2,500+ giving level. Over time, however, results had softened, and the campaign was struggling to meet its annual goals. Avalon embraced the challenge of re-energizing this important annual campaign. Our first recommendation was to move the campaign to a stronger November/December time slot to capitalize on year-end giving. 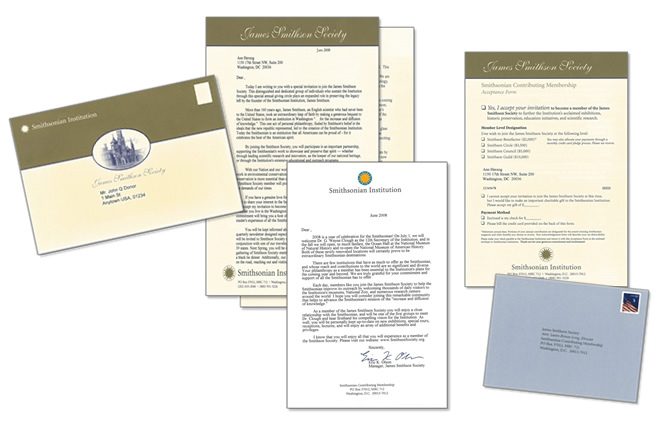 We then designed an elegant direct mail package that invited donors to “Become a part of the Smithson legacy.” A compelling letter from the director tells the story of James Smithson, whose foresight and generosity made the Smithsonian Institution possible. It encourages the donor to continue Smithson’s legacy and personally invest in the Smithsonian’s future—by taking his or her place within the James Smithson Society. 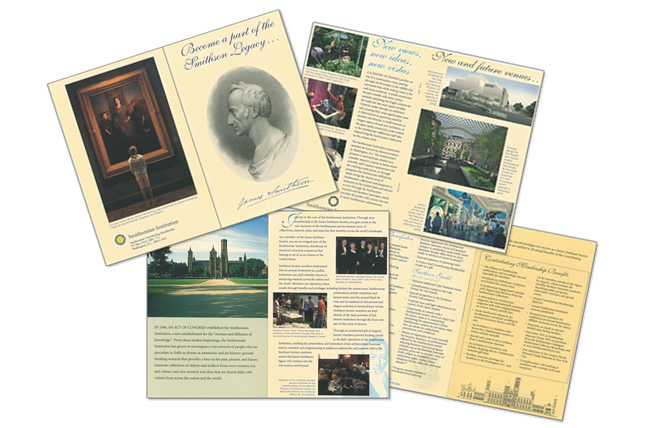 A lift note from the Society’s manager and a four-color, eight-page brochure further reinforce the value and benefits of supporting the Smithsonian at a significant annual membership level. The new mail-phone strategy delivered—producing 21 new Society members in its first year and surpassing the prior phone-only campaign’s gross revenue by 21%. This campaign also won a Marketing Award for Excellence and Innovation (MAXI) from the Direct Marketing Association of Washington—a first for the Smithsonian. More recently, in an effort to contain costs in a challenging economy, Avalon replaced the call with a follow-up email to donors that mirrored the look and tone of the direct mail package. While not as successful as the phone call, the follow-up email did inspire five members to join the Society and generated 21% of the total campaign revenue.